Product prices and availability are accurate as of 2019-04-08 04:09:24 EDT and are subject to change. Any price and availability information displayed on http://www.amazon.com/ at the time of purchase will apply to the purchase of this product. This is a lighter weight tape knitted bird net with a life span of 3-7 years. UV stabilised for longer life. Rot proof. Its is manufactured by knitting strands of polypropylene, in effect this ensures a longer life over normal nylon nettings which stretch and break. All in all we think its excellent value for money and doubt you will be disappointed. 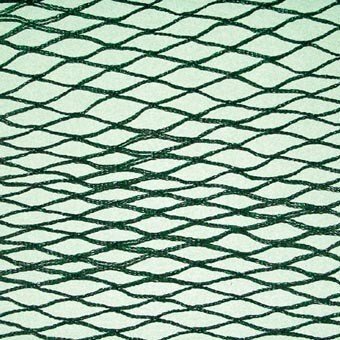 *You will need to order at least 30% more netting, both widthways & lengthways, than you think you will need. The net is very elastic, and precise measurements are impossible.